Urban Initiatives – PArty Time: Meet Eugene! Our newest batch of Program Associates took the time to get to know one another with some fun interviews. It’s time to meet the new PA’s and learn some interesting facts about UI’s newest team members. Eugene is one heck of a soccer player and die-hard fan of the amazing sport of futbol! Soccer is Eugene’s life, in which he not only majored in Sports and Fitness Management in DePaul University, but he also play’s in a couple of men’s soccer leagues throughout Chicago. Eugene learned about Urban Initiatives through a family relative and once he researched more about the organization, he was instantly attracted to it. He started off as an intern at Urban Initiatives and all of his hard work paid off because he was offered a role as Program Associate! Eugene’s passion for soccer and love of helping youth will make him an excellent Program Associate. He is most excited about is cementing his role with UI and see what the future has in store for him! He loves hanging out with his friends and being social. His favorite snacks is all snacks! He is a huge foodie, and loves trying all types of food. Another fun fact is that his father was born under Joseph Stalin in 1949-the Soviet Union! Lastly, his favorite pro-athlete is Kobe Bryant because he is a competitive person and he puts aside everything that does not matter to achieve that one main goal of winning. 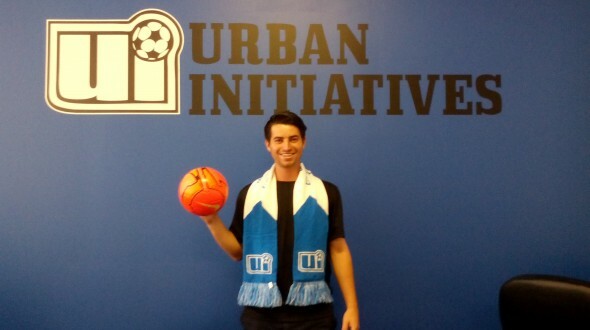 Welcome Eugene to Urban Initiatives!!! Previous Article: PArty Time: Meet Nefeteri!